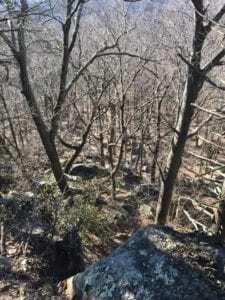 This is part 24 of excerpts from the trail log which was located on a New York portion of the Appalachian trail. For the post which explains this series, click here. You can read all the previous hiking posts by clicking here. Every day is another day to another opportunity of greatness. Climb every mountain to be powerful beyond measure. Here is what this hiker’s words meant to me. Every day is another day… The past is gone. Just think about that. Whatever happened to you in the last hour is already a part of your past, and cannot be changed. If you said something that you regret, you can’t take it back. All you can do is whatever comes next. Ask for forgiveness. Do something good for the person you hurt. Move on. If you made a mistake on a report in the last hour, you already did it. Now it’s time to fix the mistake. And if you did something amazing in the last hour, it’s time to look forward to the next amazing thing. I’m using the “last hour” just to strengthen the point. We can sometimes get hung up on rehashing something that happened in the past. What if we had done this or that instead? But that time is gone. Done. Every day is a new start, and all we have is that day. To use however we want. To change whatever we want. Isn’t that thought so freeing? … to another opportunity of greatness. Most of us have dreams of one sort or another. Whether it’s a better job, a healthier relationship, a stronger body, a new or improved skill, most of us have something we hope to make “great.” Since every day is a new start, every day is another chance to move forward to make our lives and ourselves great. Pick up the phone and make a call to a company you want to work with. Sign up for those piano lessons. Skip the bread with breakfast. Take a walk down the street. Whatever will move you closer to being the best you that you can be, today is the day you can start. Climb every mountain.. The person who wrote this was hiking on the Appalachian Trail. If he or she had been walking for miles, days or even months, they’ve already literally climbed mountains. But every time I read these words, I take them figuratively. Climbing our own mountains happens all the time. We have a challenge at work. Trouble is brewing with family members. The car isn’t working. Our bank account is dwindling much faster than it’s being replenished. A relationship is not working out. We all have mountains of some sort to climb. And the way to get to the other side is to keep moving until we’ve gotten to the top. Taking the easy way around doesn’t mean we’ve conquered anything. We have to actually do the hard work required to get to the top. …to be powerful beyond measure. Every time we overcome a challenge (or a fear) we become more powerful. For example, I used to be incredibly afraid to speak out in public. Even a meeting with four people was enough to induce a quavering voice and upset stomach. After years of hard work and practice, I was able not only to get up in front of hundreds of people to talk, but to have fun with it. I went from one extreme to the other, and believe me, I felt so much better about myself. So every challenge or obstacle we overcome, gets us closer to the best us we can be. And in so doing, we become more powerful. In 18 words, this hiker highlighted four tenets of life. We can start life over every day (or hour). We can reach our own greatness by taking a step, and then another. We must attack and climb any mountain in our way. And by doing so, we can become powerful. Thank you hiker for taking the time to share and make us think.